Very nice studio comprising : an entrance with a sleeping area, a renovated shower-room, toilets, a living-room with kitchen and a terrace. The sleeping area and the living-room are separated with a sas closed with two doors. Parking place in the residence. 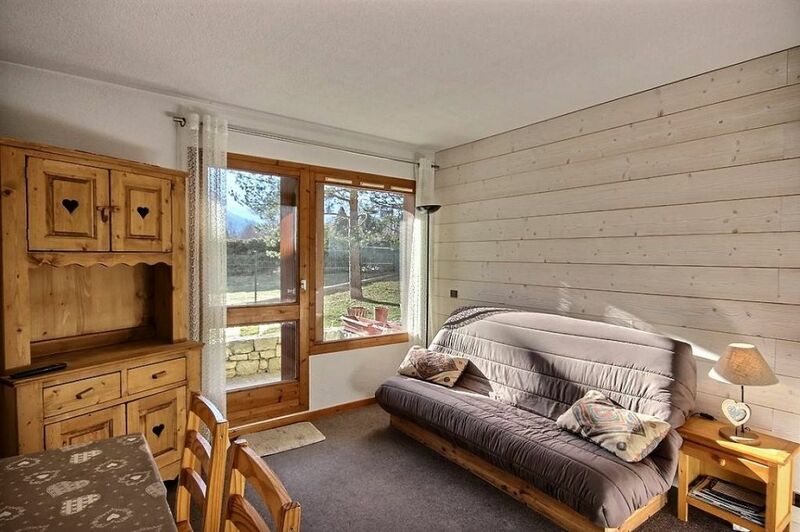 Sold furnished for 4 persons, a cellar and a skis locker. Rental potential.